“We need to come together to win together,” said U.S. Sen. Bernie Sanders. Manchester – U.S. 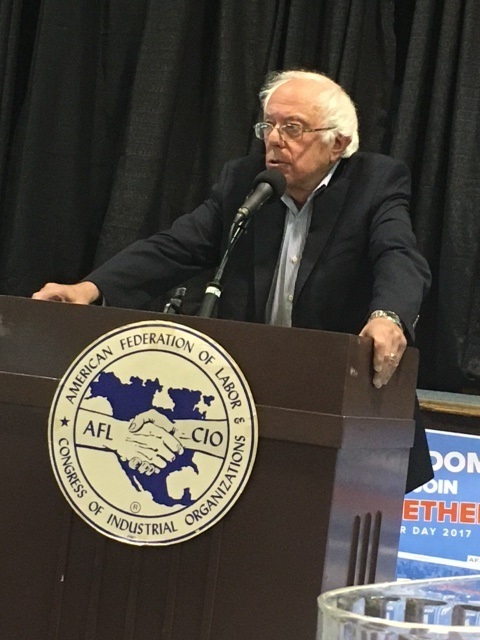 Senator Bernie Sanders of Vermont spoke to a cheering full house at St. George’s Greek Orthodox Church at this year’s New Hampshire AFL-CIO Labor Day Breakfast on Monday. 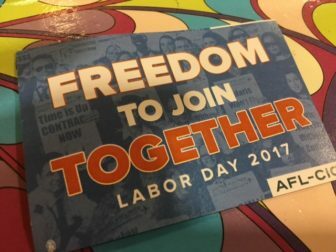 U.S. Sen. Jeanne Shaheen, D-NH, spoke at the breakfast, and was also scheduled to walk later in the Milford Labor Day Parade at 1:00 p.m. The parade route will lead from West Street, down to the Milford Oval ending at the Milford Veterans of Foreign Wars Hall. 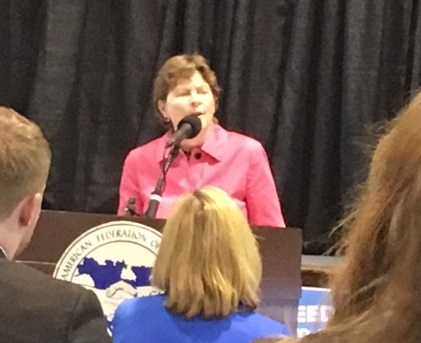 U.S. Sen. Jeanne Shaheen speaking at the Labor Day breakfast Monday.